Have a safe and sane 4th of July! I always like to remind everyone who has pets to keep them inside and safe during the 4th. Where we live it’s like a war zone sometimes during this festive time. Lots of crazy fireworks all over the place. Since it is a beach town we have loads of tourists that come to Santa Cruz to hang on our beaches and go nuts! People bury fireworks in the sand days before and dig them up and have their own dangerous personal firework displays! It gets really really crazy!! So with that being said and about your pets, please keep them home and indoors. Turn on the TV or music and play it loud. I put Rescue Remedy in their water bowls about a week before and call my Vet to get some doggie valium! I also made my own version of a Thundershirt for one of our crew that pretty much loses her mind from the sparkly explosions. It breaks my heart to see her so upset. So we hope this will work on her along with taking meds and drinking calming water. 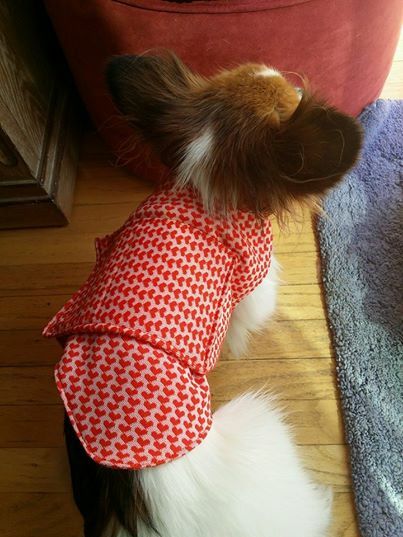 Candy modeling her orange is the new black straight jacket! SO PLEASE!! Enjoy the 4th and keep your furkids safe! 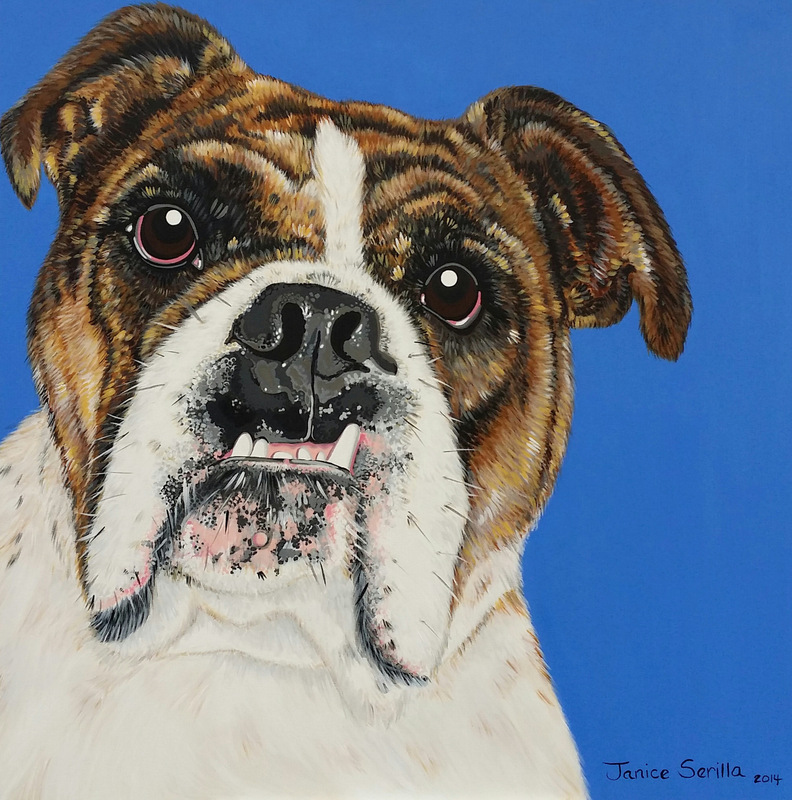 Just finished up this painting of a local bulldog named Carlos! He is a funny fellow with loads of energy. Sassy to the max! His passion is to chew everything in site! Silly Carlos!! !